The technology industry is one of the most in-demand fields in the U.S., and one of the most in-demand jobs in that industry is a software developer. According to the Bureau of Labor Statistics, the number of software developers will have to grow 31 percent by 2026 to keep up with demand. “You could probably put that advertisement up and leave it out there for a year and not find one qualified candidate,” said Bryan Rider, vice president of business development at Tri-Starr Group, a staffing company. But it isn't just software developers that are in demand, it’s all tech-related workers — and San Antonio and Bexar County aim to change that. Last year, the city and county budgeted $300,000 for a one-of-a-kind position to address the gap: chief talent and recruitment officer, or CTRO. Tech Bloc, the local technology nonprofit, administers the position, which recruits technology workers from outside the area and matches local talent with jobs. Early next year, it will launch a database of tech employees and a jobs clearinghouse website. 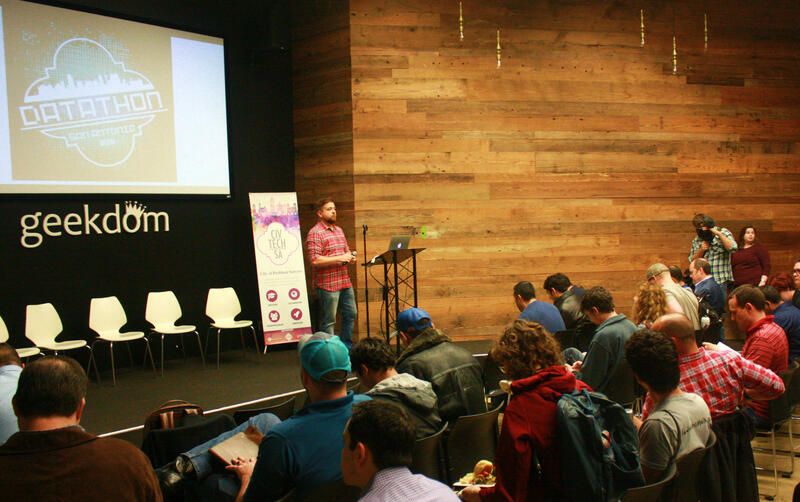 Dax Moreno speaks at San Antonio's first Datathon, which he helped found when at Geekdom. The CTRO is also tailored to retain local workers who want to move on from a position or if their situation suddenly changes — like when Rackspace laid off more than 200 of its local workforce in 2017. David Marquez, executive director of Bexar County Economic and Community Development, said those layoffs highlighted the need for this position. The position will ease the expensive burden of recruiting for tech companies, he said. It will also gather better data on what the local industry needs and what talent San Antonio already has. “We’re trying to use this as a way of gathering intel by which we can shape our recruitment and retention strategies more clearly around the actual talent base we have, could have or will have in the future,” he said. 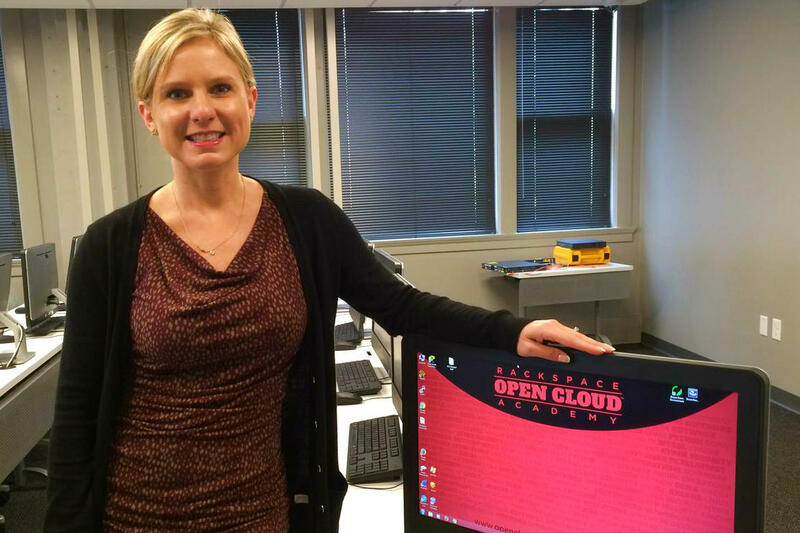 Deborah Carter works for the county’s economic development department, but before that, she ran the Open Cloud Academy, a boot camp program that trains people to connect with certificate-based tech jobs like systems administrators. Despite the organization’s successes, employers often didn’t know they were turning out good candidates. “It was Liquid Web saying, “I hired so many systems administrators and they are working out great within our organization,’ and that’s when another employer would pop up and reach out to us,” she said. She said the CTRO can help close that gap and fill jobs faster. “My whole job is to make your job easier and connecting talent to your opportunity. Talent fuels growth. Full stop,” said Dax Moreno, the newly hired CTRO. 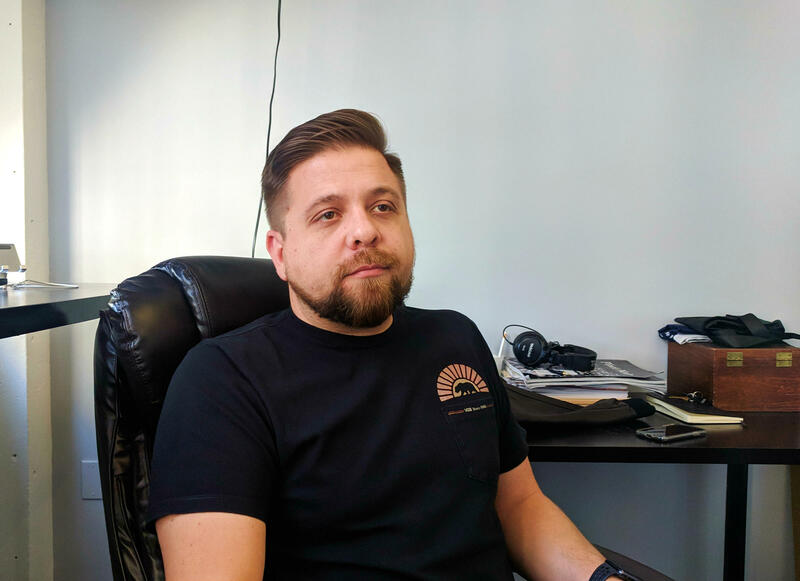 From early talks with local companies, Moreno said, they do need developers, but they also need good salespeople, project managers, and account executives. Setting up this program is a tall order, Tech Bloc CEO David Heard said, but it’s necessary in a town that regularly ranks at the bottom of real estate investor CBRE’s top 50 tech talent markets. “San Antonio is a tier two, tier three city at best in terms of our technology ecosystem in town,” he said. In recent years both USAA and H-E-B have opened technology-related offices in Austin instead of San Antonio. Heard said even midsized companies are sending their jobs to Austin. It’s easier to find those employees in Austin, he said. 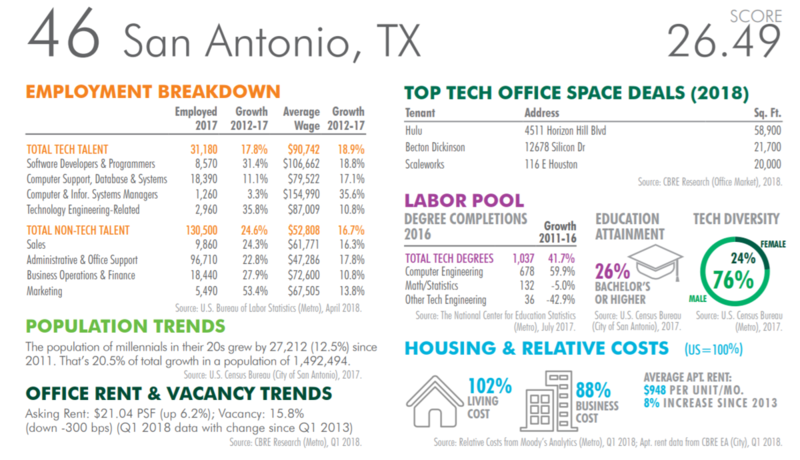 Austin has more than double San Antonio’s 31,000 tech workers. “The only way we are going to close the gap is to do some things that are a little out of the box, a little out of the ordinary, and get creative,” Heard said. “Yeah, really interesting program or approach to this,” said Mark Muro with the Brookings Institution. He said he hasn’t seen anything like the matchmaking approach of this program, which places. what usually is a complex and loose process of connecting employees and employers together on one person. “If this works, it’s a really important experiment and would be something highly implementable in lots of places,” he said. The position was posted in the summer of 2017 and was vacant for nearly a year. Its first leader, Jeannine Wild, left after less than three months for medical reasons. Despite this, community leaders are still supportive. “because it’s industry-led,” said Rene Dominguez, director of San Antonio’s economic development department. Marquez agrees, and that’s why they’re willing not just to experiment with the new approach but to also give it time to make a positive difference. After the initial two years, Tech Bloc must fund the position through sponsorships and other private funders. Tech Bloc, a tech industry advocacy organization, was given $300,000 last year to create the position of chief technology and recruitment officer. This person would recruit in-demand technology workers, connect locals with technology jobs and maintain a database of open positions in the city. Tech Bloc announced Wednesday it hired Dax Moreno for the position.